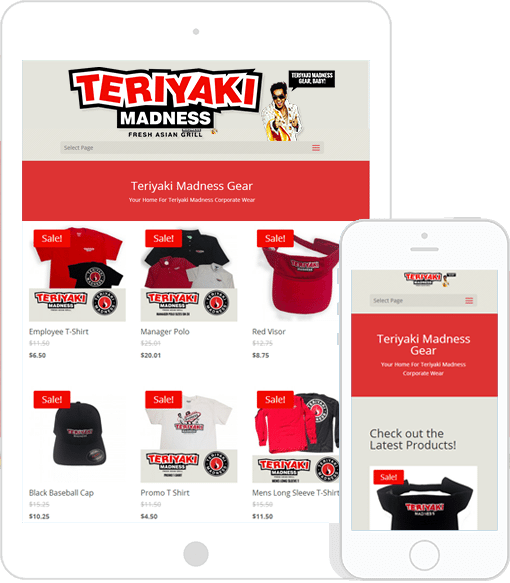 Create an easy e-commerce solution for managers of Teriyaki Madness to purchase uniforms, hats for employees and promotional T-shirts for sale to customers in their stores. The result is a site that lets Teriyaki Madness managers owners know they’re in the right place. They can make their purchases quickly and reorder just as quickly. With so many using mobile devices for everything these days, it is important that Teriyaki Madness managers be able to complete purchases on their mobile devices.